Blue screen of Death errors are among the most difficult to resolve since they shut down the system instantly and completely. One such error is the one with the code tcpip.sys. This means Transmission Control Protocol over Internet Protocol. The error signifies an issue with the drivers or conflicting programs. Basically, the Transmission Control Protocol over Internet Protocol is necessary for connecting devices over the internet. If it fails, the system shuts down since it is a crucial protocol. Our approach towards the solution would be to check the problem with the drivers and then with troublesome programs. Usually, we would be able to log in to the system upon restarting the system after this blue screen error. 2] In the Settings page, select Updates and Security from the option. 3] Click on Update now to perform Windows Update. While performing a Windows Update updates the drivers automatically, but if that doesn’t work, we could update them manually. 1] Press Win + R to open the Run window and type the command devmgmt.msc. Hit Enter to open the Device Manager window. 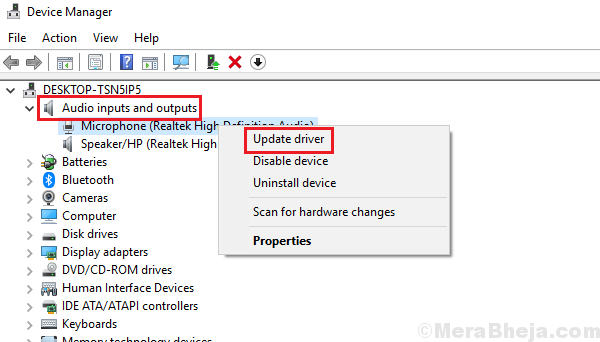 2] In the Device Manager window, right-click and select Update driver for all the drivers. 4] You might also consider uninstalling the drivers. Simply right-click on them and select Uninstall. Restart the system while keeping it connected to the Internet hard wired. The drivers will re-install themselves. 5] If updating the drivers doesn’t work that way, we could download the drivers from the manufacturer’s website. 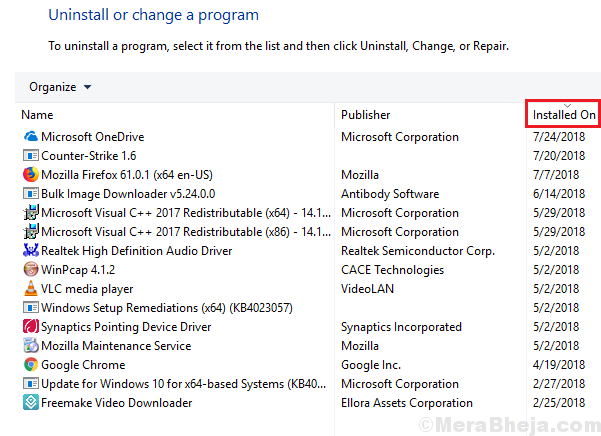 I wouldn’t suggest rolling back drivers in this case, because once we uninstall the drivers and they are reinstalled, we would be using the latest set of drivers anyway. If a certain driver was to conflict, it would cause the issue with a certain feature and not the system itself (i.e. it wouldn’t be a blue screen error). While the main step to check for the same is performing a clean boot, but to save time, we could try a manual scan beforehand. 1] Press CTRL+ALT+DEL and select Task Manager from the list. 2] Expand the list of programs in Task manager. 3] Check which processes are using the major chunk of the system resources. If that helps you get an idea of the conflicting program, it would be helpful. 2] Select Programs and features from the list and it would display the list of programs. 3] We can right-click and uninstall and conflicting programs. Now the question is how to decide which program is conflicting. Usually, high-level games and associated software is known to cause conflict. Eg. GeForce Experience, Webroot, Networx, etc. Other than this, we could check recently installed software. Since the issue is recent, it could be understood that the conflicting program might be a recently installed one. Antivirus software are known to cause this issue at times. This troubleshooting might not be generic since the interface is different for different brands of antivirus. Thus, open the antivirus application on your system and check for the option to disable it. You could contact the antivirus vendor for help with the same. Hope it helps resolve your issue!